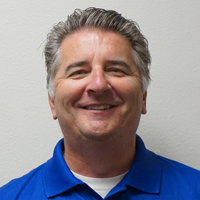 Jeff Luzar joined the GuardTop team in 2010 as a Sales and Marketing Manager and has been in the sealcoat business since 1992. Luzar oversees all GuardTop locations including Southern California, Arizona and Georgia, as well as working with production and plant sites to manage product quality and performance. In his free time, you can find Jeff at a Ducks game or cheering on his hometown favorites the Cleveland Browns and Indians. 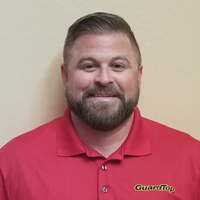 Brian Barnum joined the GuardTop team in 2018 as the Southwest Regional Manager. He brings over 18 years of experience in the asphalt maintenance industry as both a supplier and contractor and is a board member of Arizona Maintenance Supervisors Association. As the Southwest Regional Manager, he is responsible for business development related to both private and public agencies, as well as being a skilled sales manager, technical support advisor and estimating professional in the industry. The Ohio native can be found spending time with his wife and two daughters cheering on Ohio State, the Cavs, Indians and Browns in his free time. 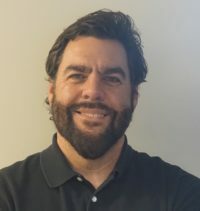 Wade Miller joined GuardTop in 2019 as Vice President of Pavement Preservation; he brings more than 15 years’ experience in the industry ranging from operations, plant production and management, as well as 13 years’ experience in sales and marketing. Miller previously worked for Western Emulsions, GuardTop’s former parent company. At GuardTop he oversees sales to public agencies in California and enjoys aiding municipalities in preserving the service life of highways, roads and streets. Wade spends his spare time at his son’s lacrosse games, his daughter’s recitals, or taking a lateral hazard on the golf course. Lang DeCoudres joined the GuardTop team in 2015. As the Southeastern Sales and Marketing Manager, he oversees customer relations and event planning. Lang brings more than 10 years of customer service, management and marketing experience to GuardTop. On the weekends, Lang enjoys fishing, camping, cooking and spending time with his wife and kids exploring Atlanta. 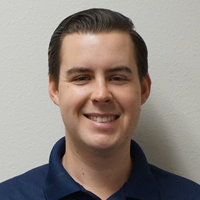 Davis Koleas joined GuardTop in 2016 as the Sales and Marketing Manager for Southern California. After working for FOX Sports as a marketing and content specialist, Davis brought his extensive marketing and communications skills to GuardTop where he manages the Los Angeles, San Diego and Orange County divisions. When Davis is not working, he spends his time on the golf course or at Lakers, Rams and Angels games. Thomas Mucenski joined GuardTop in 2017 and is responsible for sales and marketing efforts out of the newest GuardTop Express location in Tucson, AZ. 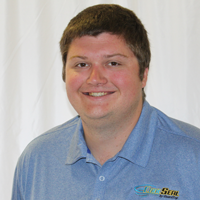 Thomas has eight years of sales and customer service experience in the Tucson area. Thomas is a recent graduate of the University of Arizona and is a dedicated Wildcats fan. 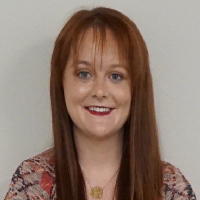 Natasha Koleas joined the GuardTop team in 2017 leading the communications department. After spending several years working at PR agencies, she brings various communications, event planning and marketing skills to the company. In her spare time, she enjoys exploring California’s beaches and hiking trails while cheering on the Red Sox and Patriots. 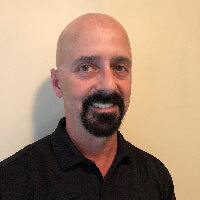 Joe DiBenedetto began working for GuardTop in 2012, taking responsibility for production, quality control, quality assurance and the Southwestern plant operations. 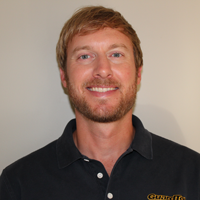 He has more than nine years of asphalt experience including laboratory testing of asphalt, emulsions and sealcoats. The New England native enjoys spending his free time fishing with his wife and exploring on his Harley.